Butterflies and bugs of Keoladeo | Where to next? We spent about five hours walking the main and minor tracks through Bharatpur’s Keoladeo National Park, which gave me a great opportunity to view the many species of butterflies and bugs populating the park. No wonder birds flock here in the hundreds of thousands—every corner of the park offers up feasts of invertebrates and other delicacies such as fish, frogs and lizards. With the exception of the baronet, all the ones pictured here were seen in Keoladeo National Park in the space of about an hour. A few days later, Deepti and I poured over a book of Indian butterflies and managed to accurately (we hope) identify all but two. So far I haven’t been able to find out how many species of butterfly India has, but they are fluttering about everywhere we go. G’day I love the uniqueness of the butterflies Peggy; unique like you! Thanks Joanne. I love butterflies too. Lovely. The plain tiger and white “butterfly” look very like ones we’d get here. Oh Peggy, the butterflies are gorgeous! So many bright and beautiful colours. Thank you for these beautiful photos. So glad you are enjoying them. I find butterflies irresistible. I love the variety of butterflies and other insects here in India. You have a lovely collection of photographs of them. 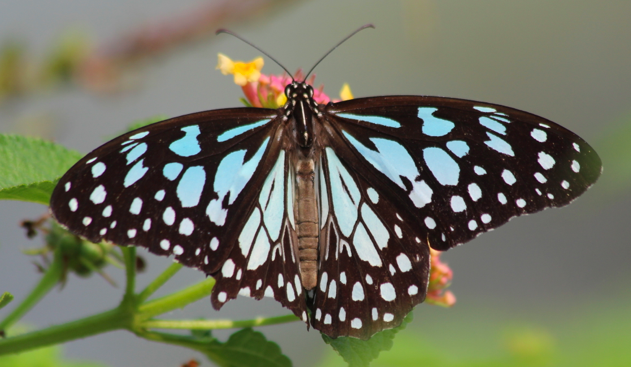 India has wonderful butterflies and insects. Wish I could have taken photos of even more. Keoladeo is a perfect habitat for butterflies and birds…the collection of your birds and butterflies is really very good.. I liked the way of you doing a collection of pictures…keep doing it. Thanks so much. And thanks even more for such an amazing trip. Keoladeo—a wetland wonderland for birds and twitchers | Where to next?